Earthquake shook everything but the system! As the one-year anniversary of Haiti’s earthquake approaches, a brutally frank account of the plight of its people has been delivered by a highly placed diplomat. Ricardo Seitenfus, the representative to Haiti of the Organization of American States, delivered a hard-hitting assessment of the foreign role in that country in an interview published in the December 20 edition of the Swiss daily Le Temps. iThe interview also appeared in the right-wing, Haitian daily, Le Nouvelliste. Seitenfus is Brazilian and a graduate of the Institute of Advanced International Studies in Geneva. The truths he pronounced in the now-famous interview are not unique; they have been voiced by many Haitians and their allies abroad. 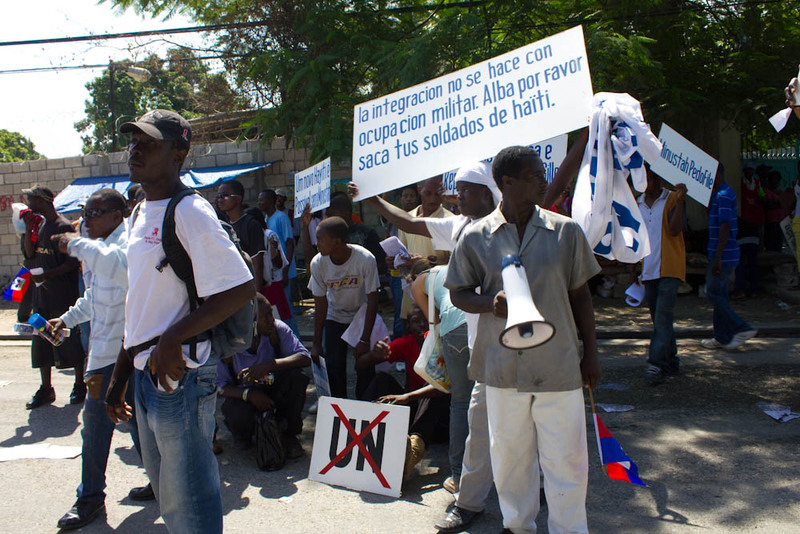 But to hear them uttered by someone of his standing is a sign of the unraveling of a miserably-failed foreign military and political occupation force in Haiti. He is asked, is it a counter-productive presence? SRINAGAR, India (AP) — If you ask MC Kash, he’s just speaking the truth. But Kashmir’s breakout rapper’s songs court rebellion and could land him in jail. Kash calls himself a rebel who uses sharp rhymes and beats instead of stones or guns to protest India’s rule over the mostly Muslim region in the Himalayas. Writer Arundhati Roy and social activist Swami Agnivesh joined scores of fellow activists to protest against the “unjust” life imprisonment of rights campaigner Binayak Sen, which they described as a “move to intimidate and silence dissent”. Organised by All India Progressive Women’s Association(AIPWA) and All India Students’ Association (AISA), the protest saw students, academicians and activists shouting slogans against the life sentence to Sen.
“If you are charging Sen with sedition, then slap the same charge against me also. I am with him,” said Agnivesh addressing the protestors at Jantar Mantar, the dharna hotspot of the national capital. MANILA, Philippines – The Philippines, a long-time US ally and former colony, said it will sign a logistics supply deal with China to source military equipment to combat domestic security threats, including from Maoist rebels. 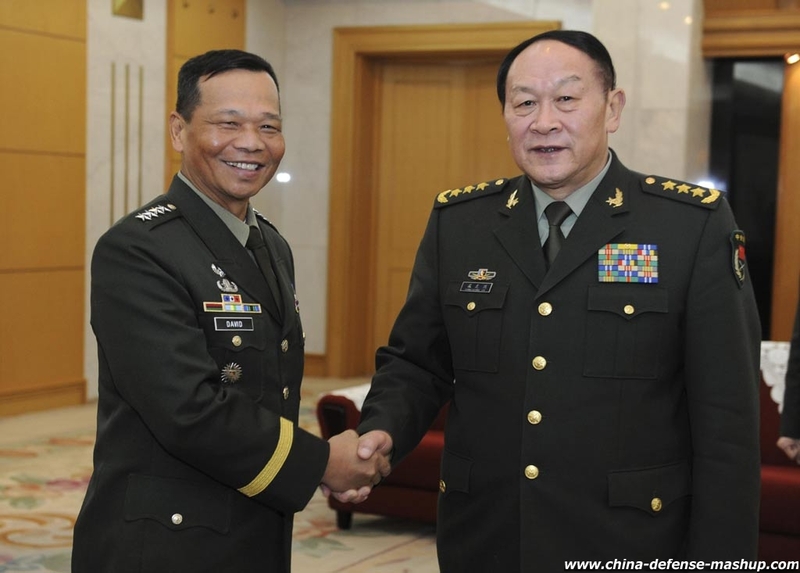 General Ricardo David, Chief of Staff of the 130,000-member Armed Forces of the Philippines, will fly on Tuesday to Beijing, where he will meet senior defense and army officials and also tour military facilities, the Philippine military said. Corporate media most likely tries to buy you off only if you pose a real danger – radical and subversive to ‘power’. While attacking Wikileaks for corporate collusion, therefore, its original radical potential cannot be overlooked. fears of the Palestinian Israeli conflicts. for a gallery or museum show. A picture is worth a thousand words, and this video goes beyond that. It contains powerful drawings, created by children in Gaza, expressing the horrors they experienced during Operation Cast Lead, which of course began nearly two years ago. These children share the painful physical and emotional devastation caused by Israel’s actions. Many of these young artists will never escape the hell they lived through.